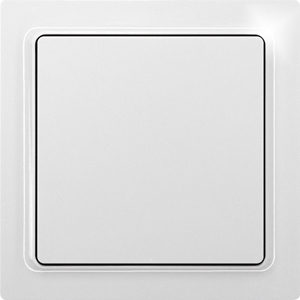 1-way wireless rocker pushbutton TF-WTB55 pure white glossy for single mounting 80x80x19mm or mounting in the 55mm switch system. With battery (lifetime 5-8 years). Smart Home sensor.